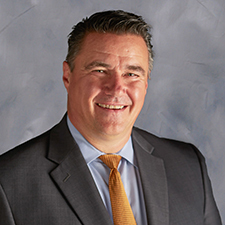 Tom Hinkley is the Senior Vice President of Commercial Services for Hilldrup, where he is responsible for developing, growing and leading Hilldrup’s commercial division across the company’s corporate headquarters and six branch offices. A 30-year veteran of the United Van Lines system, he has experience in national account development, sales management, commercial relocation program development, quality systems implementation and executive management. He is also the recipient of several sales achievement awards from United Van Lines, including being a consistent member of the Masters Club. Tom holds a bachelor’s degree in elementary education and teaching from the University of South Carolina. Tom lives in Alexandria, Virginia, with his wife, and together they have two sons and a daughter. In his free time, Tom enjoys spending time with his family and watching sports.